Good morning Squirrels! Launch day is here! I ran the flight path predictions for this morning and all remains good. The predictions have been very consistent over the week. 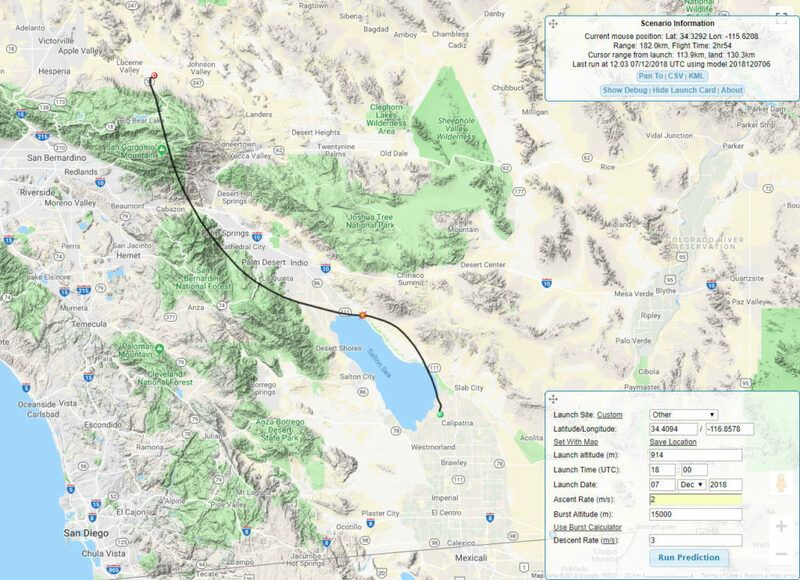 Our Squirrel is heading South towards the Salton Sea. Squirrels don’t swim well and that is a big area, I hope our pilot avoids a water landing. Recovery of our Squirrel would be nice, but not required. Today’s prediction has FS3 going over the two highest mountains in Southern California. However the prediction indicates our Squirrel has the lift to rise above the mountains and clear it with ease. We may alter our launch site due to wet ground and wind conditions. We also may push the launch further East, towards Stoddard Wells OHV, to give a little more margin of error on the Salton Sea. 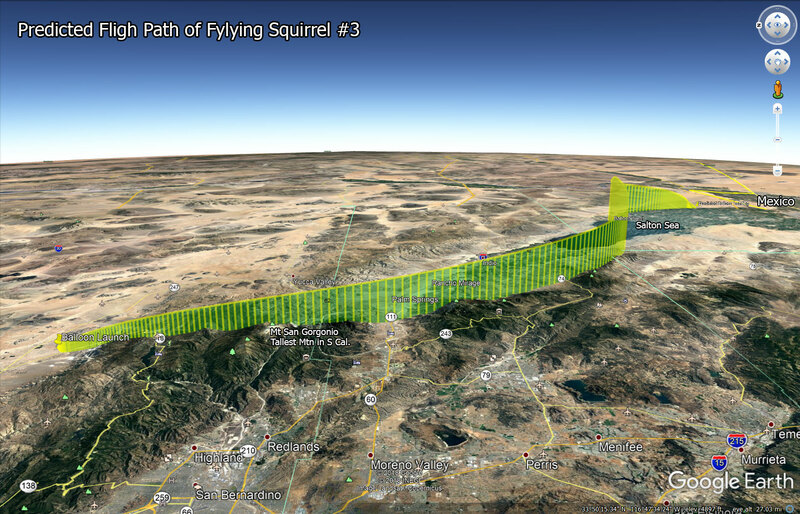 Follow KJ6FO-10 on APRS to track the Ground Squirrel Launch Vehicle. To show this path in perspective, I have included a Google Earth Map. The View is towards the East.